MIL is a dynamic workforce of industry professionals who deliver world-class solutions in cyber, engineering, financial management, and information technology – and we are looking for candidates like you. Whether you’re fresh out of college or the military or well into your professional services career, MIL has great job opportunities that might be right for you. 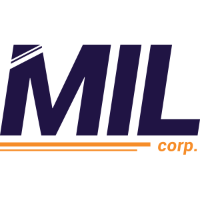 The MIL Corporation seeks a Tier II Desktop Support Technician to support a Federal Government client at one of our Washington, DC Metropolitan area locations. The Tier II Desktop Support Technician will provide support for 4500+ end users.